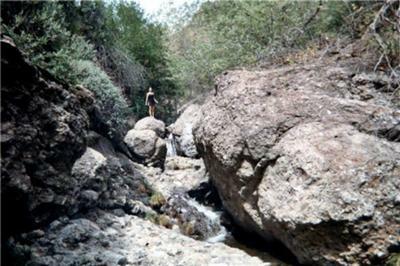 Small falls but a great hike with lots of Malibu mountain scenery and tons of boulder hopping. I think this made the hike. The hike is all downhill so be aware that you will be going back up when it is time to leave. 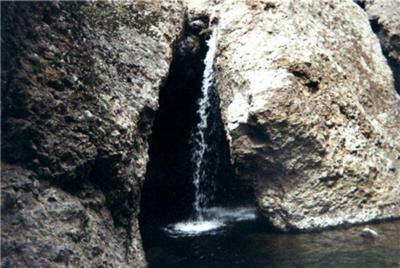 The trail seems to stop at boulders, but if you take a hidden path to your right up and around the first boulder, the waterfall or “grotto” is there. You can actually go under the rocks and into the falls although the water is COLD!! Keep on boulder hopping and there are lots of small cascades. 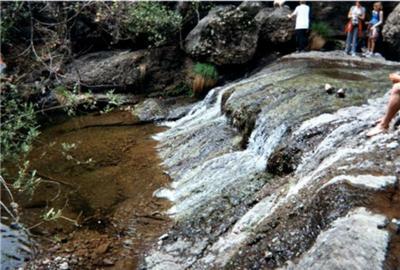 At the bottom, before you reach private property, there are some falls that are nice to sit atop. Enjoy!! 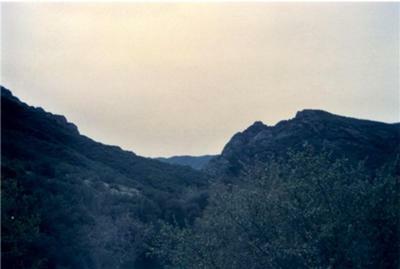 Circle X Ranch is 5 1/2 miles from Pacific Coast Highway on Yerba Buena Road in Malibu. Alternately, from Westlake Village, exit on Westlake Blvd from the 101 Freeway, and follow it south for several miles as it merges with Mulholland highway. Turn right onto Little Sycamore Canyon and it will become Yerba Buena Road as you cross the county line. Proceed on Yerba Buena Road for about 5 miles to the Circle X Ranger Station on the left side of the road. **This trail is dog friendly!